Abu Dhabi, June 13th, 2018 (Gulf Intelligence) – The Organization of Petroleum Exporting Countries (OPEC), which collectively produces about one third of global oil supply, and their non-OPEC partners in the 2016 Vienna Agreement, including Russia, will abandon their historic supply pact in the second half of 2018 and raise oil output to meet global demand, a Gulf Intelligence industry survey showed. In a Gulf Intelligence poll conducted with 66 oil industry executives, market traders and analysts, one week ahead of a critical OPEC non-OPEC meeting in the Austrian capital, 46 of those polled said they expected the world’s biggest oil exporters to raise output in the third and fourth quarter of 2018. 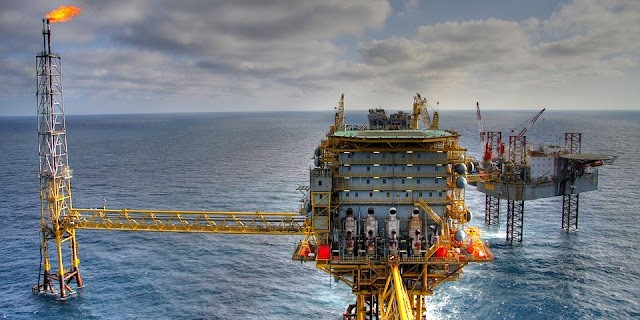 "Let's face it, it seems like OPEC's policy will more than likely change come June 22nd -- 18 months of hard graft and quite frankly, astounding compliance by all members has done its job and flat price is up at the dizzying heights of $76 per barrel," said Dubai-based Matt Stanley, Fuel Oil Broker, Freight Investor Service. OPEC and its allies have accomplished their mission of reducing global oil stocks to desired levels, the International Energy Agency reported in April, signaling that the market could become too tight if supply remains restrained. The IEA, which coordinates the energy policies of industrialized nations, said stocks in developed countries fell to their five-year average - a metric used by OPEC to measure the success of the output cuts. OPEC has spent the past few years attempting to push up the price of oil following its collapse in 2014 when the price plunged from more than $115 a barrel to hit a low below $30 a barrel in early 2016. That was a result of an increase in supply from Russia, Venezuela and other OPEC nations desperate for cash and an important new arrival on the scene – fracking firms in the US, which had begun pumping huge quantities of oil and gas. The low oil prices finally propelled the world’s biggest oil exporters, led by Russia and Saudi Arabia, into a year of shuttle diplomacy that saw 24 countries signing on to the supply cut agreement in December 2016 to remove 1.8 million barrels a day from the market. 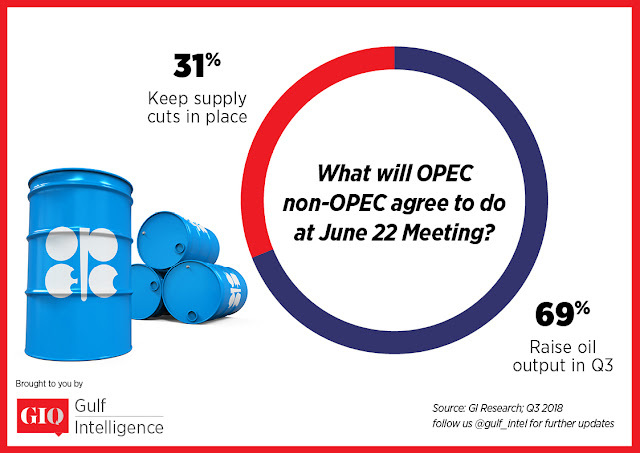 Still, 31% of those polled in the Gulf Intelligence GIQ survey said they think it is too early to abandon this historic agreement and expect OPEC to keep the supply agreement in place until the end of 2018 as formally agreed at the last OPEC meeting in December. "I expect OPEC and non-OPEC to keep cuts in place,” said Olga Labai, Director, Oil & Gas Consultants. “My opinion is the world of energy requires longer periods of stability, both on the oil price side and in the relationship between members and non-members of OPEC, before any major decisions on oil cuts can be taken," she said. The Joint Ministerial Monitoring Committee (JMMC) representing the 24 OPEC and non-OPEC producing countries participating in the voluntary production adjustments will next meet in Vienna on June 21st.